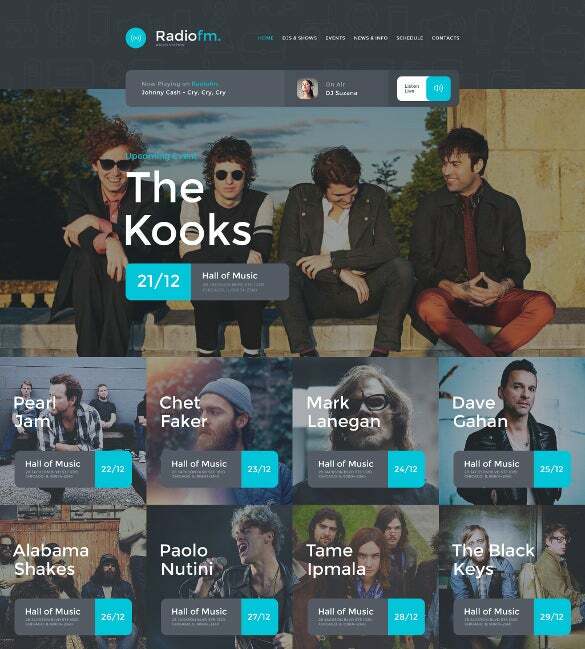 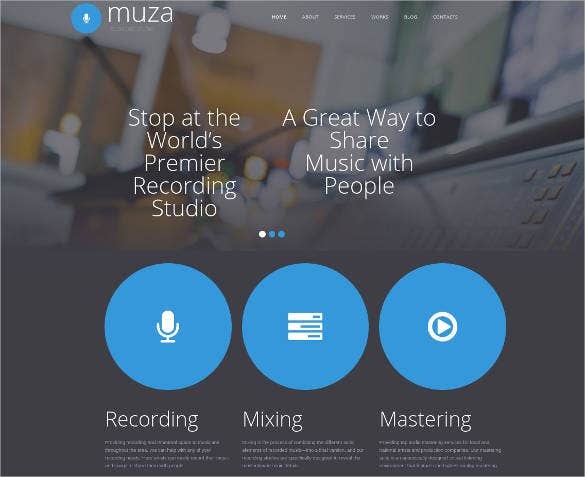 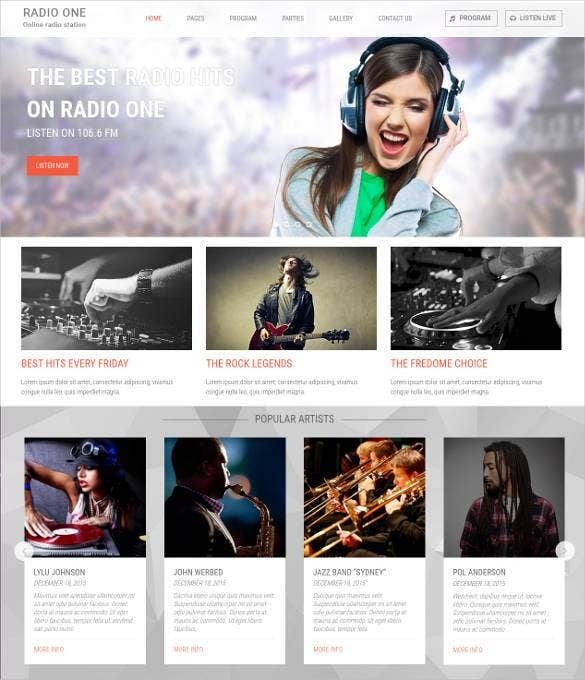 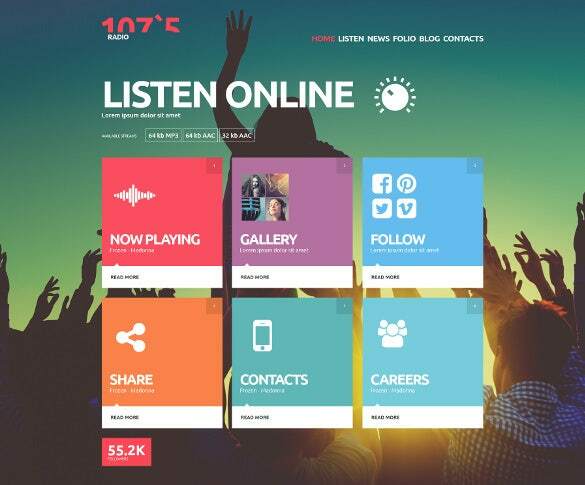 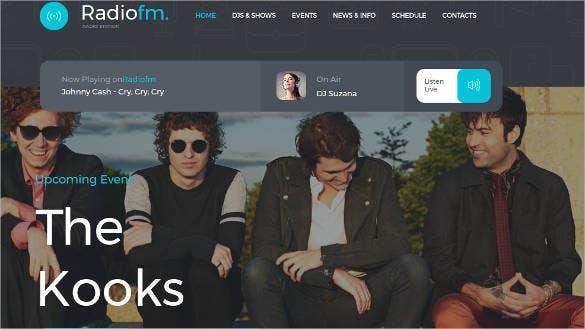 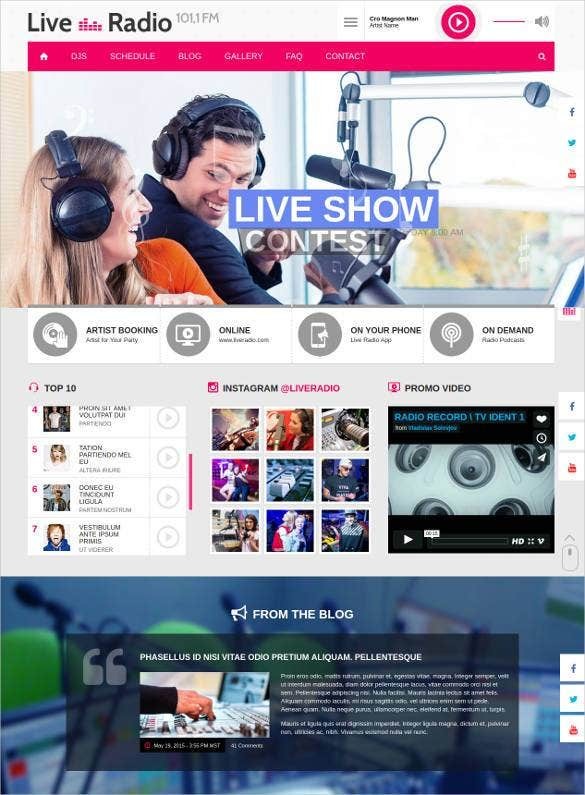 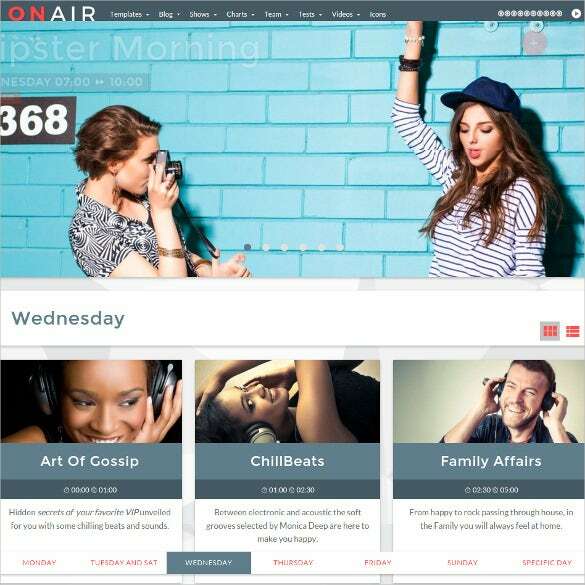 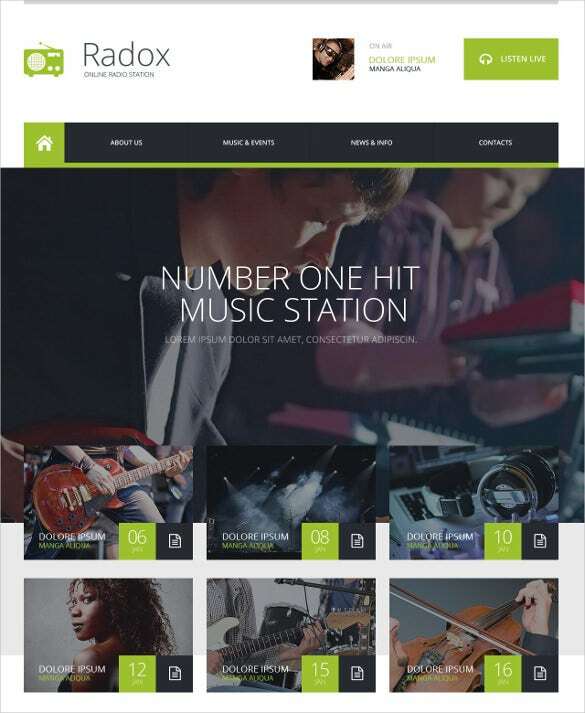 Radio Station website templates are used to create an online radio station and air your ideas. 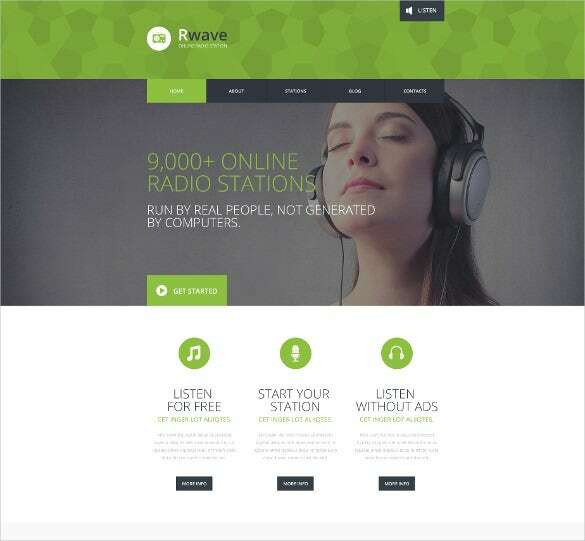 These website templates are crafted with latest trends and top features available in designing field. 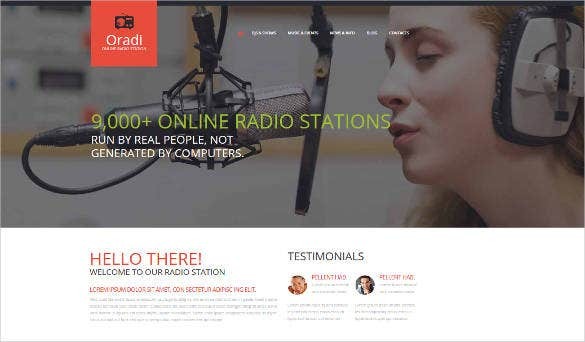 The support service is available at 24/7 for every purchased template.You may also check Radio Station WordPress Website Themes. 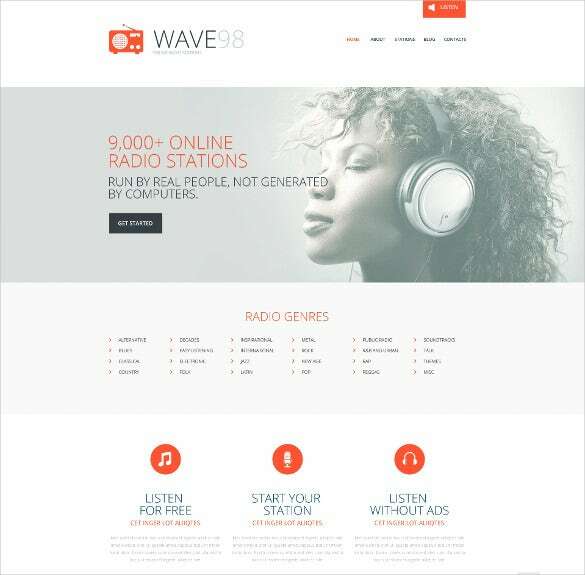 A joyous crowd grooving at the background makes an apt backdrop for a radio station website theme. 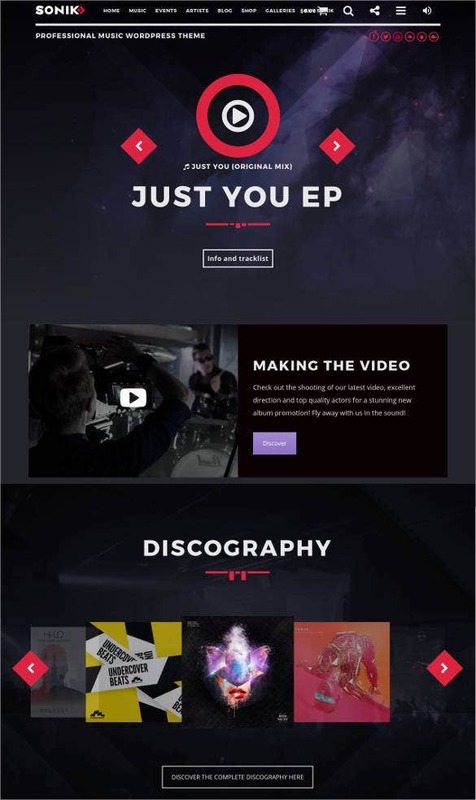 The menu is presented in a unique template form which renders an edgy touch to the overall theme. 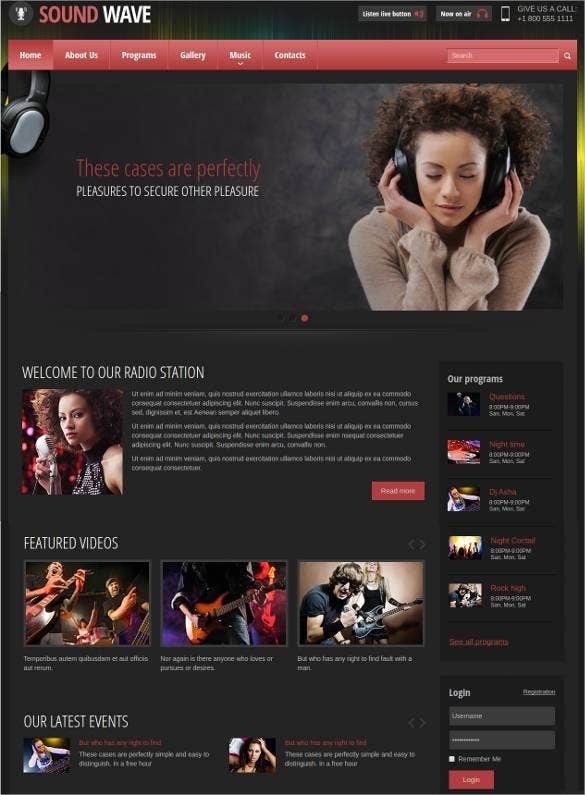 This responsive theme comes with advanced theme options, Google Map and assures good crossbrowser compatibility. 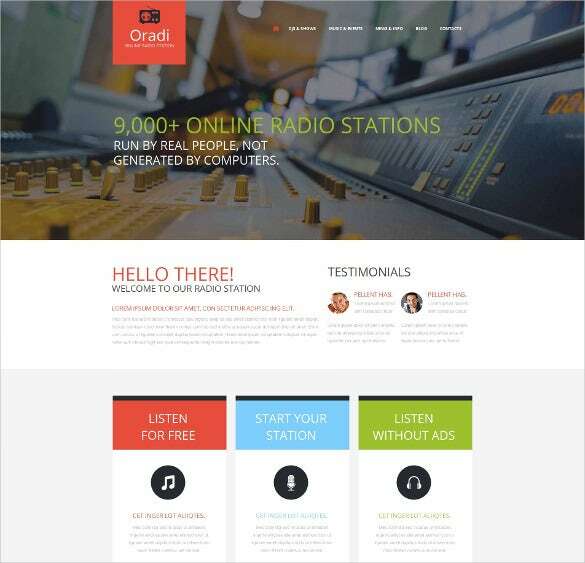 The retro radio from the good old days when you have big knobs to change the radio stations makes a charming theme for a radio station website here. 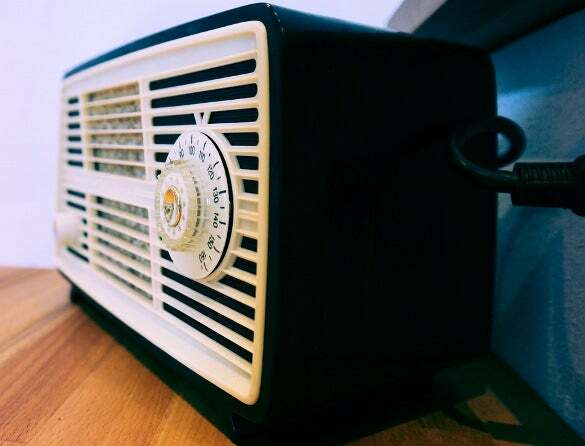 There is always an unmatched classy feel about vintage themes. 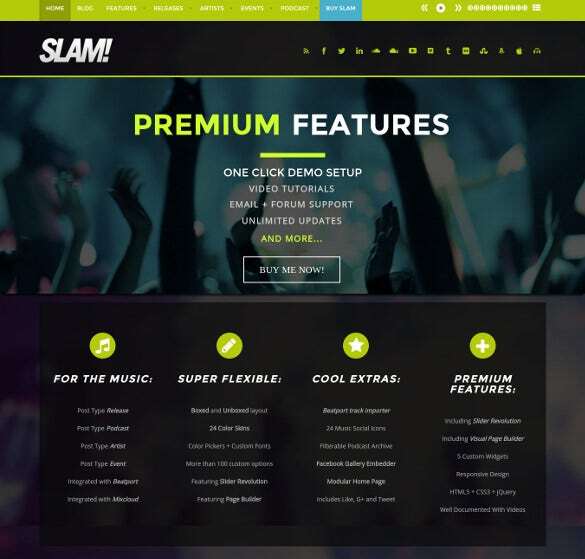 It comes with an edgy QuickStart package that assures effortless & fast installation. 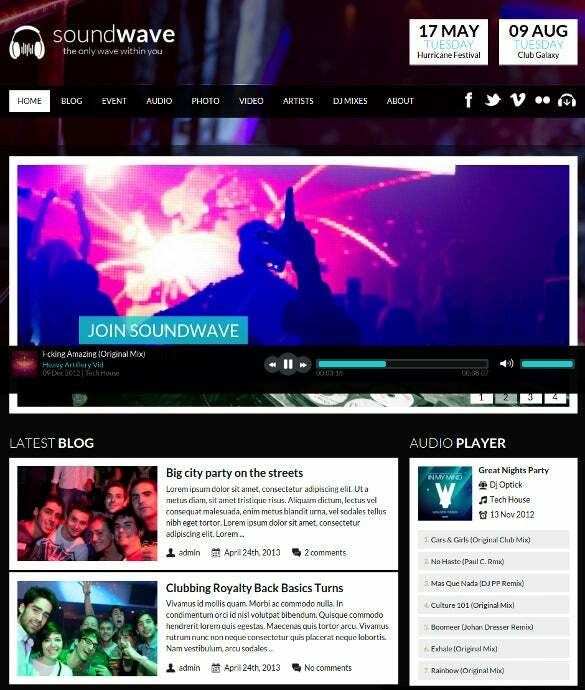 The neon border on top duly complements the rich black background representing an electrifying nightlife grooving in the beats of fabulous music. 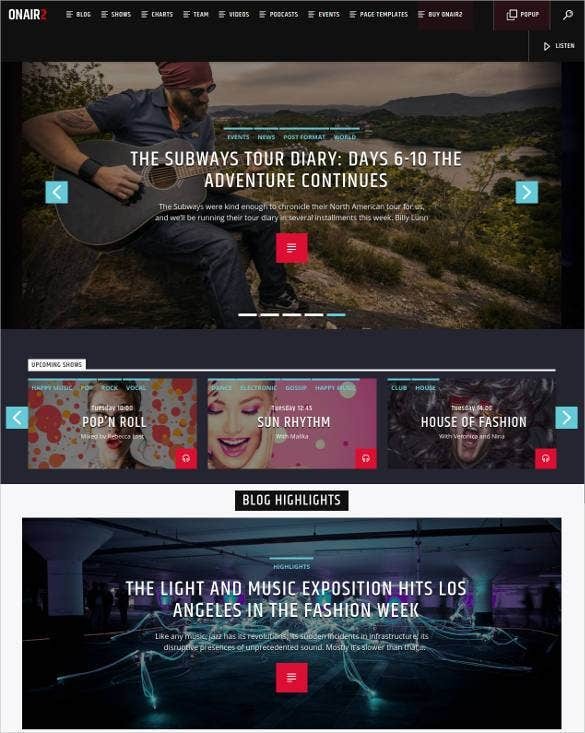 The space below can be used to highlight special features of your site. 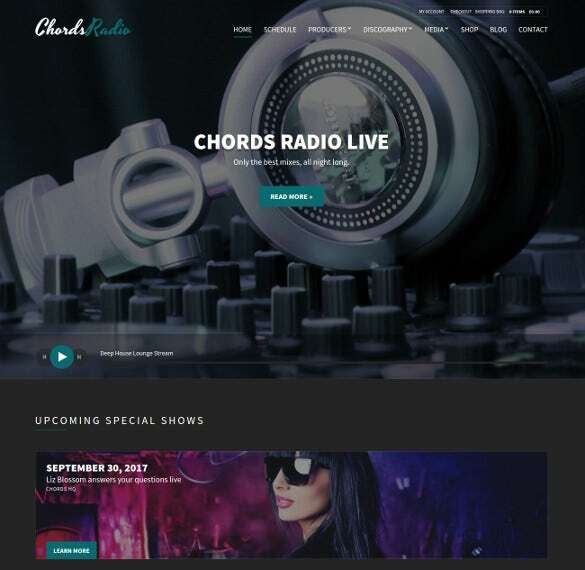 The theme would be excellent for any state of the art radio station website and there is a new support forum & one click demo installer available here. 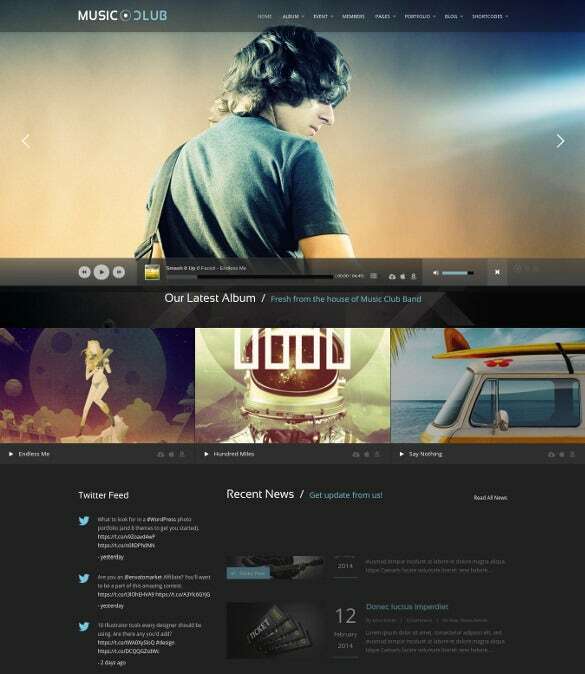 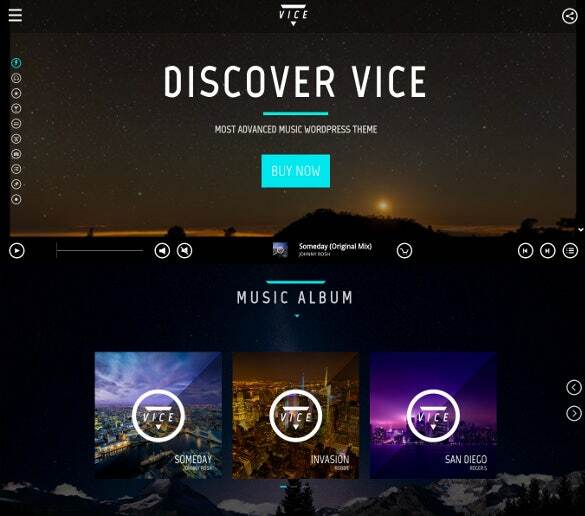 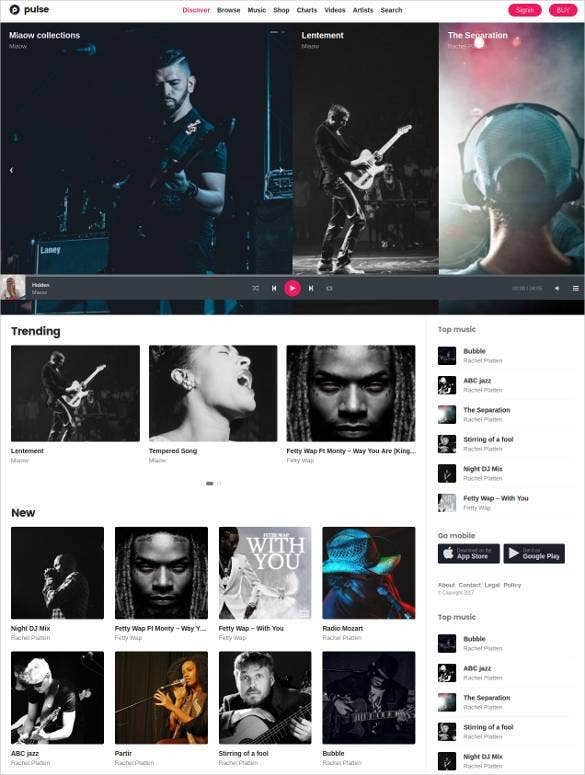 you may also visit Music Website Themes. 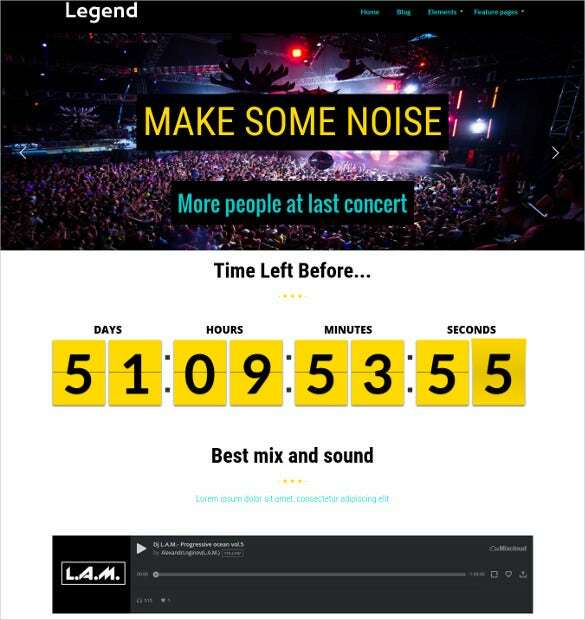 This urbane radio station website theme starts with a vibrant banner which is followed by a countdown timer. 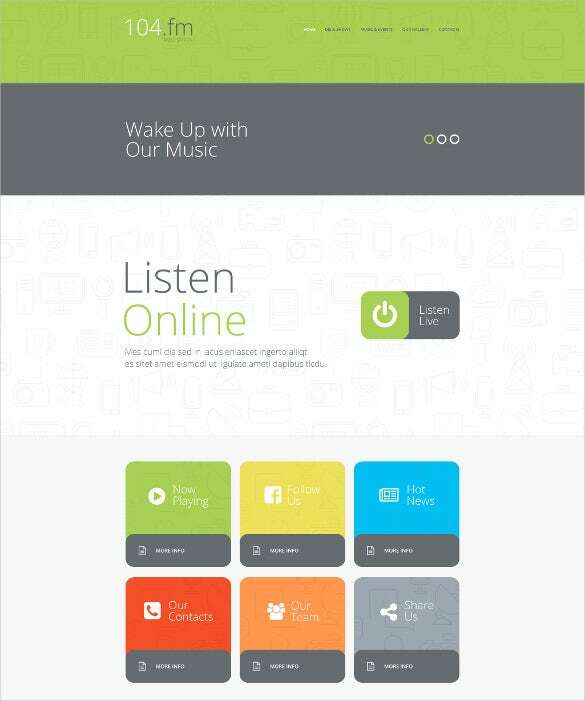 You can also add an audio clip on your homepage thanks to this theme. 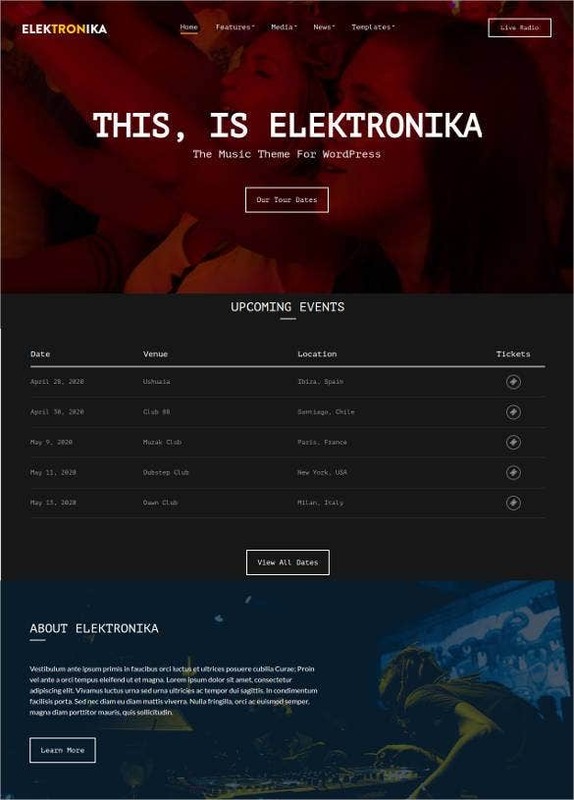 The fully responsive theme would be great for nightclubs, festivals, concerts, conferences, band & musician websites as well. 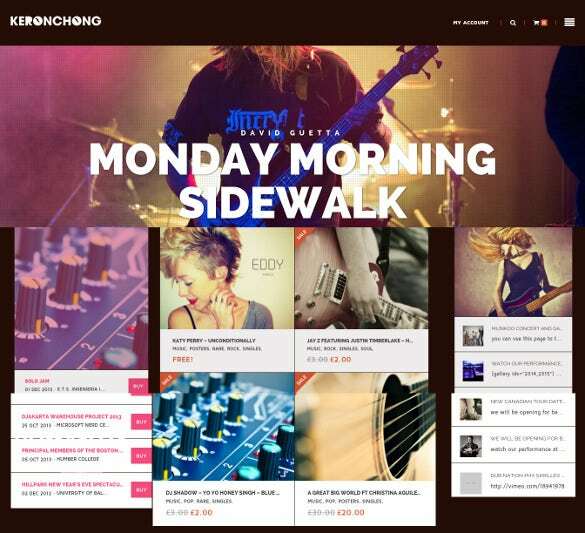 These templates are highly responsive, which will make them adaptable on every screen. 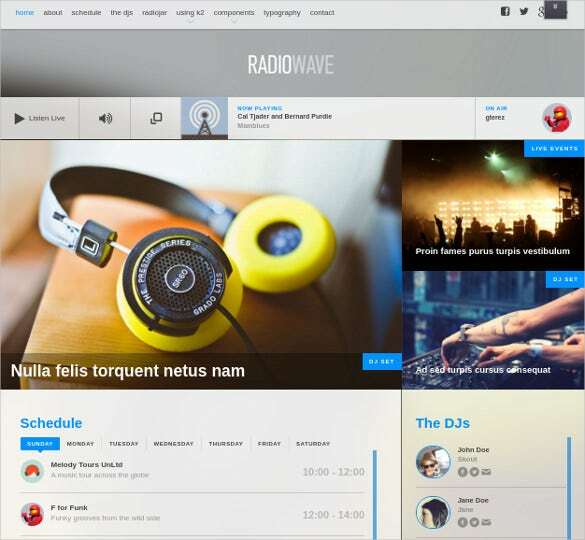 Cross-browser compatibility and navigation tools provide a good surfing experience. 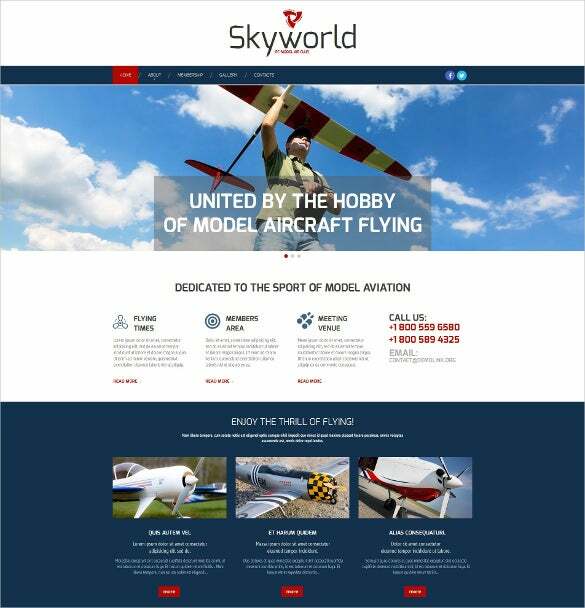 Search engine friendly feature helps you to adjust page settings and design options like favicon designs, free photos and related options could help you to decide the outlook of the website.